Of course, motivation and time are two big factors. You need both or the effort just fades away and nothing goes in the front door, so to speak. However, research into the nature of learning is showing that the missing piece of the puzzle is that students don’t get enough time activating the knowledge they gain through a teacher or in a classroom. Without time spent in activation mode, they either never truly acquire the language or are just too bewildered once they try to use English in the real world and explore. In learning theory there are two crucial components or phases: Installation and Activation. Installation is what students get in the classroom. Language is introduced and explained. It enters short term memory. Teachers and schools are great at this. They cover so much content and “install” so much. However, the installation phase fails if it isn’t proceeded by a full phase of activation. Activation refers to students being “aroused” and offered just enough challenge to truly learn the material (see a nice summary here). Too much arousal and the student is bewildered and won’t learn. Too little and they are demotivated and won’t learn or continue or activate the right neural pathways to acquire language. 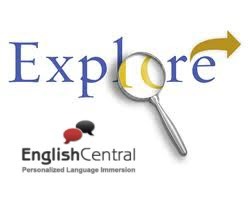 EnglishCentral offers a wonderful controlled phase of student activation. We compliment what teachers do in the classroom and provide students with the key to really acquiring the language. Our tools such as; repeat, slow, dictionary, vocab. clip list study, compare speech, review, pronunciation profiling and more, really provide students with the time and tools to properly activate their language learning. Installation is great but activation is essential. Teachers need in addition to providing students with installation, to provide students with opportunities to activate their classroom language learning. There is also one more step in the language learning pathway – experimentation. Once the language has been installed (taught / learned) and then activated ( practiced / acquired), it then must be tested and used in the place that counts most – the real world. 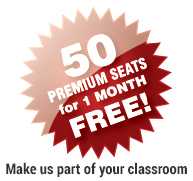 Students will need time to communicate with real speakers, tutors, partners. This will set everything into long term memory. They need to use it and experiment. EnglishCentral video lessons won’t ever fully substitute for face to face communication but our authentic material allows students to explore the real living world of English language in use. So there you have it – the 3 steps to fluency: Installation, Activation and Experimentation. None of them can be bypassed or short changed. 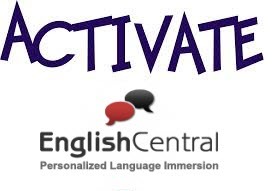 EnglishCentral provides that vital second stage – Activation. Get your students activating the learning you have given them as teachers. And who knows, in the future we might be able to program and install language in the brain. Load up the learner with all the info. / data needed. Then, they will just have to activate it and set it in motion. No more dictionaries or memorization – pure activation and experimentation. I know I’m dreaming but who knows?